Criminal profiling is rather new to our generation, but it is a growing study. History itself reminds us where our knowledge and wisdom come from when we lose sight of those who cut the path. We study history so that we learn from it and hopefully do not repeat it. 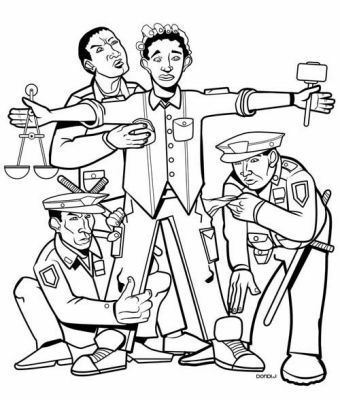 Criminal profiling is defined as inferring the traits of individuals responsible for committing criminal acts. Profiling is not all fasts, it is statistics/experimental and it is an educated guess based off prior cases or investigations. Criminal profiling has also been referred to as behavioral profiling, crime scene profiling, criminal personality profiling, offender profiling, psychological profiling, criminal investigative analysis, and more recently investigative psychology. Criminal profiling cannot be ignored, it must be studied. We must learn its lessons to be better avoid becoming its victims. Blood Libel is an early president form of criminal profiling because it involves a predetermined set of crime –related characteristics used to infer and consequently accuse a particular suspect pool. The suspect pools included the Jews. The profile would look like this, 1.A young Christian male goes missing 2.A Jewish community lives nearby 3.The child goes missing on or just prior to Passover 4.The body may have injuries that appear to be the result as a ritual 5. The body may have a lost a great deal of blood or simply appear so. Profiling has been around for a long time, the Salem Witch Trials is another example to look at for early profiling. Before the Salem Witch trial came to an end, 20 people had been executed (14 women and 6 men), 5 had died in prison, and more than 150 had been jailed. The Salem Witch Trial is a dark and painful bruise on the criminal profiling. The logic behind their reasoning was dreadful and had many errors in the technique itself. They were based off prejudice and ignorance and would be a lessoned learned in history. Some investigative criminologists that should be recognized are Sir Arthur Doyle, Dr. Hans Gross, and Dr. Paul Kirk. The search for origins for forensic science began with forensic pathology which is defined as the branch of medicine that applies principles and knowledge for the medical sciences to problems in the field of law. Forensic evidence that is related to the body is identified as a wound patterns, diseases, environmental conditions, and victim history and so on. Some cases that had an effect on the profiling past were the Whitechapel murders or also known as Jack the Ripper occurred in1888 in Great Britain. Another one was during the 1940’s and 1950’s the “Mad Bomber” terrorized the city of New York. He set of 37 bombs in train stations and theaters all over the city. A profile was made and it looked like this, 1.male 2.knowledge of metal working and electricity 3.Suffered from paranoia 4.unmarried 5.possibly a virgin 6.Roman Catholic 7.had chronic disorder and others. Profilers put this together with the information he left behind and it was a statistic based analysis. During the 1960’s an American Law Enforcement officer, Howard Teten, began to develop his approach to criminal profiling. The FBI began using criminal profiling and putting together actual statistics. Today criminal profiling is made up of professionals and nonprofessionals from a varity of related and unrelated backgrounds. In 1999 the academy of behavioral profiling funded in March. ABP is the first international, independent, multidisciplinary professional organization for those who are studying profiling. Turvey, Brent E. Criminal Profiling: An Introduction to Behavioral Evidence Analysis. San Diego, CA: Academic, 2002. Print. When asked about criminal profiling many people automatically start thinking about the crime shows on T.V, like, Criminal Minds and Law and Order: Criminal Intent. The truth behind these words is that there is actually many ways to profile a perpetrator and the T.V. version quite often sums things up to make the job look really simple, but what they leave out is the different methods that can be used to profile. There’s the deductive method, inductive profiling, and geographic profiling. All these methods fall under either idiographic or nomothetic, the two broad categories of criminal profiling and there is an even bigger dichotomy that classifies an offender as either organized or disorganized. Classifying an offender either organized or disorganized is based on the offender’s virtue of the level of sophistication, planning, and competence evident in the crime scene. Some crime scene characteristics for an unorganized offender include: spontaneous offense, known victim or location, random and sloppy crime scene, body left at scene, and evidence/weapon present at the crime scene. Some offender characteristics for an unorganized offender include: below average intelligence, sexual incompetence, living alone, and low birth order. While all of this seems a bit out there it is more often than not that these characteristics are true. As for the organized offender there are basically opposite characteristics to look for. For example, organized crime scene characteristics include: a planned offense, personalization with the victim, a hidden body, and aggressive acts before death. Organized offender characteristics include: sexual competency, average to above average intelligence, and high birth order. Idiographic profiles are all based on the concrete, as in the actual facts, not the facts that can be inferred by examining crime scenes. This also includes examining individuals and their actual qualities. Nomothetic profiles are based on abstract ideas based on examining groups and universal laws. These profiles are not just useful but necessary when trying to define groups and solve group-related problems in specific cases. Nomothetic includes geographic profiling, investigative psychology and diagnostic evaluations. Geographic profiling focuses on determining the area where a perpetrator activates. This also assumes that an offender’s home or other locations he or she is familiar with can be determined from their crime locations. The theoretical basis of geographical profiling has been around for quite sometime, but there have been some recent advancement in the use of computers for geographic profiling. The deductive method of criminal profiling uses the evidence from a crime scene to reconstruct the circumstances of the crime and the perpetrators actions. This data allows the profiler to deductively find the perpetrators motive and the kind of individual they are looking for. Physical evidence, like autopsy reports and photographs, provide clues about the perpetrator’s behavior and psychological traits. The inductive method of criminal profiling uses the information from past cases and perpetrators to build the profile of a current perpetrator for a current case. The purpose of this method is to discover common elements to develop the profile by inferring the age, gender, race and psychological traits of the perpetrator. After examining the crime scene profilers compare what they found to previous cases or other statistical data specific to similar criminal activity. Any and all of these methods are used when it comes to profiling an offender. With some being so broad police cannot follow a profile exactly, but the profiles still help when trying to determine how and where to catch an offender. What is one of the first questions asked when a crime occurs? Why did they do it, what made them make that decision? The answer to this frequently asked question is known as criminal motivation. Motive is a very important thing to discover when investigating a crime, if an investigator is not able to understand the criminal’s motive then the case is not completely solved. To understand a criminal’s motive one must first understand the meaning of the word motive itself. As defined by Mr. Brent Turvey, motive is the emotional, psychological, and material needs that impel and are satisfied by behavior. Another important aspect is knowing the difference between the state of a person at the crime scene and the trait of a person. The state of a person is how an individual acts in a certain moment at a crime scene, while an individual’s trait is how they will act over an extended period of time. This helps by being able to know if a criminal is just a generally angry person or if they are just angry while at the crime scene. There is another important distinction that also needs to be known, the difference between motive and intent. Intent is the desired outcome that will guide an individual’s behavior while motive is the reason behind the action and desire. 1. Power reassurance- behaviors that are intended to restore the offender’s self-confidence through the use of low aggression means. 2. Power assertive- behaviors that are intended to restore the offender’s self-confidence through the use of moderate to highly aggressive means. 3. Anger retaliatory- behaviors that involve high levels of rage toward either an individual, group, or institution. 4. Sadistic behavior- behavior showing sexual gratification from a victim’s pain and suffering, intent is usually sexual with the motive of causing physical torture toward the victim. 5. Administrative behavior- behavior that serve as financial, material, or personal gain. It should be known however, that these categories are not distinctly separated meaning that an individual may display multiple classifications of behavioral motivation. However, just because one of these factors is present does not mean that it is a contributing factor in the accused crime. While motive isn’t enough to exclusively convict an individual in today’s courts, it is a very important tool in our investigative system that helps solve numerous cases in our society as well as helping us to understand and find the proper evidence to convict criminals in our communities. Turvey, Brent E. "Chapter 13: Interpreting Motive." 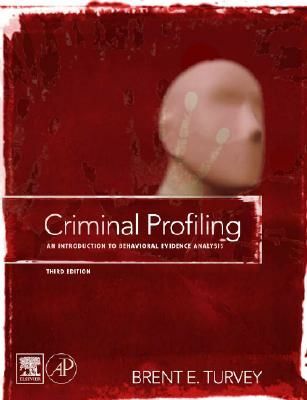 Criminal Profiling: An Introduction to Behavioral Evidence Analysis. San Diego, CA: Academic, 2002. 312-29. Print. Forensic victimology is an applied discipline as opposed to a theoretical one. Forensic victimologist seeks to examine, consider, and interpret particular victim evidence in a scientific fashion in order to answer investigative and forensic questions. Victimology is defined as the study of the ways in which the behavior of crime victims may have led to or contributed to their victimization. Or another way to look at it is the claim that the problems of a person or group are the result of victimization. Studying victimology is actually very important and can help with the case and catch the person of interest. The victims background will be examined and also all their history like medical records, illnesses, behaviors. If it’s a serial killer looking at what the victims have in common will help stage a profile in what the perpetrator is looking for in his victims. Also if he leaves a signature this might also help with the profile for the individual. There are many goals forensic victomology and here they are; assist in understanding elements of the crime, assist in developing a timeline, define the suspect pool, provide investigative suggestions, assist with crime reconstruction, assist with contextualizing allegations of victimization, assist with the development of offender modus operandi, assist with development of offender motive, assist with establishing the offender’s exposure level, assist with case linkage, assist with public safety response, and reduce victim defecation of vilification. These goals will help with the proper steps and keep stay in mind for others. Categorizing victim exposure is another thing to keep in mind. Von Hentig developed a system of categorizing victims along with a continuum that developed on their contribution to the criminal act. The categories looked like this; the young, the female, the old, the mentally defective and deranged, immigrants, minorities, dull normals, the depressed, the acquisitive, the wanton, the lonesome or heartbroken, the tormentor, and the blocked/exempted/ or fighting. Studying their lifestyle exposure is also important. So taking a look into their careers to see if they have any contact with law enforcement, drug dealers, prostitutes, or attorneys. Another thing to looking into is affections to see if they have any drug addictions, alcoholism, or mental disorders/defects. Personal traits will get looked into too, for example if they were aggressive, impulsively, self-destructive behavior, passivity, low self-esteem, and aberrant sexual behavior. 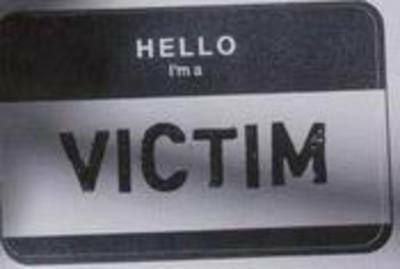 Victimology is a very important concept and wasn’t taken advantage of until recently in the 21st century. If studied the right way It can help the case and catch the perpetrator. What do most of us think of when you first hear the term stalker or stalking? The general definition is someone that is constantly following or trailing. While following someone all the time is definitely stalking in actuality, it’s “unwanted or obsessive attention by an individual or group towards another person”. Stalking relates to harassment and intimidation. While we have come to associate the word stalking with the above mentioned ideas it has several different meanings. Stalking can also be done as a group. They work together to harass and intimidate an individual. Though they do it in subtle ways such as not to attract the attention of passerby or authorities. An example of this would be a member of the group getting in line behind the individual at the local shopping center and saying something disconcerting to the person. While this may not seem like stalking it is just one of the many harassment tactics that can be performed by these groups. The gender part of stalking is a little different. It could be called easy by some, and more difficult to understand from others. One study showed that women are more likely to stalk women, while women are more than likely going to get stalked by men. Although in another study in 2009, it was reported that males were just as likely to report being stalked by another male as females. There are many different types of stalkers and many different ways to stalk someone. There is rejected stalking, when one has been rejected and seeks revenge such as: divorce, separation or termination. Also there are resentful stalking, intimacy seekers, incompetent suitors, and predatory stalkers. While they are all using different ways to stalk someone, the fact remains that they are unlawfully following or frightening someone. Different ways used to stalk someone are through text, internet, phone calls, and more. Stalking though usually involves the person being threatened or feeling scared or harassed. There usually is a threat to the individual where said person doesn’t feel safe from this person. Now I’m sure that most don’t know that January is National Stalking Awareness Month. It’s mainly just a month when committees and groups travel around, use websites, and other ways to inform the public about this crime. Some of these websites and other things have very good information, and interactive applications that help the public learn all they can about stalking and what it entails. 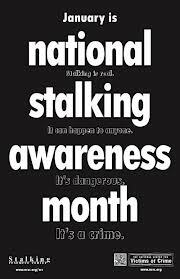 There are also a few ways that a person can stop/prevent a stalker from stalking them. These can include: never let them know they’re having an effect on you, never throw away identifying mail, get caller id on your phone, and have friends, neighbors, or coworkers help you if possible. These are a few of the ideas that could prevent or make it harder for a stalker to continue stalking that person. Now hopefully stalking is a little clearer to everyone. Stalking for any reason is wrong but sometimes these stalkers think that they are in the right. Be it because they believe the person they are stalking loves them, or because they felt that they are owed something. Whether or not they are in the right at least now you can understand a little about what stalking is and how it’s done so you may be cautious and forewarned. Stalking is defined as “a course of conduct directed at a specific person that involves repeated visual or physical proximity, nonconsensual communication, or verbal, written, or implied threats, or a combination thereof, that would cause a reasonable person fear.” Stalking can also take place online; this kind of stalking is called cyberstalking. Cyberstalking shares a lot of the same characteristics as regular stalking only cyberstalking uses technology and does not mean that the person doing the stalking actually has to do anything more than look at a computer screen. Many people use the word stalking lightly, but the truth is, when it is actually happening to someone it is a very scary situation. Stalkers can all be grouped into three main categories. These categories are simple obsession, love obsession, and other. The other category encompasses a few more types of stalking that do not quite fit in with simple or love obsessions. Simple obsession stalkers are usually involved intimately with the victim before stalking them. These stalkers usually have little self-confidence and have control issues. They are the kind of stalker that is stalking because they did not want the relationship to end, they feel that without the relationship that their life is over and they have nothing else to live for. Suicidal thoughts, and possible attempts are prominent with this type of stalker. While in the relationship with the victim the stalker was probably controlling and abusive, however this is not true for all simple obsession stalkers. Love obsession stalkers often stalk victims they have not met, but they have fantasized an entire relationship with the victim. Many of these stalkers suffer from erotomania. These victims can be everyday people like neighbors to business associates or even a famous person. These stalkers usually have a hard time with relationships; some may not even have the courage to talk to the other gender in order to start a regular relationship. When these stalkers do talk to the victim and the victim gives them any answer but NO the stalker presumes that there is a connection there and continues on with the delusional fantasy they are living. When being interrogated, police have found that they often have the fantasy and when trying to act out this fantasy and the recipient does not give affection back that these stalkers often become violent and sometimes deadly. Other stalkers do not necessarily have to have an intimate relationship or fantasize about an intimate relationship. These stalkers are usually out for revenge on someone who did them wrong, even if this wrongdoing was completely imaginary. It is these stalkers who are the most dangerous. They do not stalk out of love, but out of hate. It is this small portion of stalkers that commit the most murders. No matter what kind of stalker is out there, if you are the victim it is not a laughing matter. When a stalker is after an ex of some sort it is important to remember that they miss the control they had while in the relationship and will most likely threaten suicide. However if the stalker is victimizing a person whom they have never met it is possible that the stalker will become excessively violent if the victim does not respond in the appropriate ways. And lastly, if the stalker is victimizing out of hate there is most definitely a possibly that the stalker will resort to violence. The important thing to remember is if you, or someone you know is being stalked, report it to the authorities immediately. 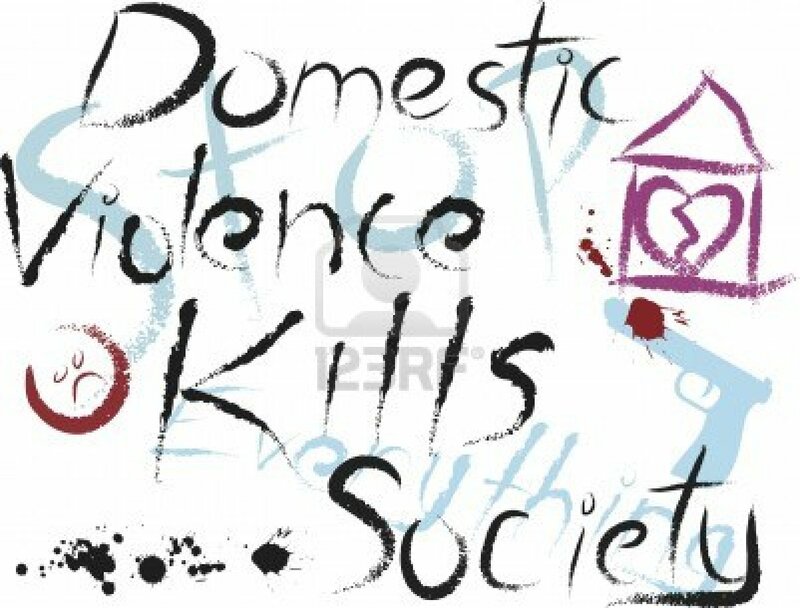 Domestic violence is the willful intimidation, physical assault, battery, sexual assault, and/or other abusive behavior perpetrated by an intimate partner against another. Domestic violence affects individuals in every community, regardless of age, race, religion, economic status, nationality, or educational background. The results of this epidemic result in physical injury, psychological trauma and possibly death. The results of domestic violence can last a lifetime and affect a family for generations. Every year more than 3 million children witness violence in their homes. Studies have shown that up to 70% of the children involved will suffer abuse or neglect themselves. Children also suffer emotional, cognitive, behavioral and developmental impairments as a result of being exposed to domestic violence in the home. Without help girls who witness domestic violence are more likely to find themselves in abusive relationships as teens and adults. And boys that do not receive help are far more likely to become abusers of their partners and/or children as adults. Domestic violence is not about losing your temper or losing control. Domestic violence is about dominance and intentionally trying to control another person. 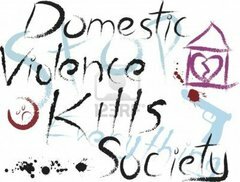 The victims of domestic violence may be a spouse, sexual/dating/intimate partner, family members, children, or cohabitants. The abuse often escalates from threats and verbal abuse to physical violence which often ends in injury and quite possibly murder. In 2009 the state of Kansas saw a spike in domestic homicides to a level that had not been seen since the early 1990’s. In 2009 there were 35 domestic homicides, 2010 there were 32, and in 2011 there were 28. According to a report from the Kansas Bureau of Investigation these numbers are the highest since 1994. On average 25% of homicides in the state of Kansas are domestic homicides. In many of these homicides the victims never filed police reports for prior domestic violence. Domestic violence is one of the most chronically unreported crimes. Homicides involving domestic violence can be prevented through early intervention by law enforcement, social services, and the criminal justice system. Even victims who are scared to press charges can be helped once they have reported the crime and have been removed from the hostile environment. Abusive partners are dangerous and some are more likely to kill. Especially when certain conditions or indicators exist. I have provided a list of lethality indicators as a guideline. The more indicators present or the greater intensity of indicators the greater the potential for Domestic Violence Homicide. Jovan Belcher shot a killed Kasandra Perkins, his longtime girlfriend and mother of his 3 month old daughter Saturday December 1, 2012 and then shot and killed himself. There has been no indication of reported prior violence in this case. In this case we may never know what actually happened, and this is more than likely true in many other cases. The key to a violence free and safe home is seeking help if there are a signs or symptoms of verbal or physical abuse. Domestic violence affects families every day in our own communities. This epidemic can be put to an end if everyone gets involved and reports abuse before it is too late. What do you think of when you hear the word terrorism? Do you think of 9/11? DO you think of Pearl Harbor? These are a couple of the big terrorist acts that happen across our minds when you hear about terrorism. What many don’t understand is that there are many different forms of terrorism and terrorist attacks. Not all of them are large scale or even noticeable but they are there. After 9/11 the United States really started to lock down on terrorism and the numerous ways that it could happen. Airport security is a fine example of this. The airports have upped their ante so far on security that many of the U.S. population don’t want to fly and prefer other means of transportation. This is one of our government’s problems. They focus on terrorism by looking at it as if it’s only the outside countries and races that perform these kinds of actions. In reality, the United States also experiences domestic terrorism, that is to say terrorism that occurs within our very own borders often by citizens of this very nation. Domestic terrorism is not as common as a terrorist act likely to be performed by another country but it does occur. This is what I think the problem was with President Bush’s “War on Terrorism”. It doesn’t just occur from other countries it also occurs here as well. Also, I don’t think you can ever completely stop terrorism. To me, this is a ridiculous notion that could never happen. There will always be those that have problems with us as a nation and just problems with governments and anything in general. The textbook talks a little bit about the interviewing of a terrorist and how to go about performing these interviews. It says that does not help during the investigation. It also goes on to state that there are almost always unintended consequences for using torture as means to acquire information during an interview. One example that our textbook uses is that it just adds “fuel to the fire” for the next generations of terrorists. I happen to agree but would also add that in my own opinion if they are being tortured an interviewee might tell the interviewer whatever they want to hear just to stop the torture. In conclusion I would close by saying that terrorism is a very big subject for anyone to cover. I have only covered a little bit of this topic and have only barely scratched the surface of it. Terrorism is not tied down to one race, country, or even other countries. Terrorism exists everywhere and will always exist because there will always be those with different views and don’t like the way things are being run. Criminal Profiling: An Introduction to Behavorial Evidence Analysis, Fourth Edition. Brent E. Turvey. © 2012, 2008, 2002, 1999 Elsevier Ltd.
Use of the death penalty dates clear back to the fifth century B.C Roman law of the twelve tablets. Death sentences were carried out by crucifixion, drowning, beating to death, burning alive and impalement. 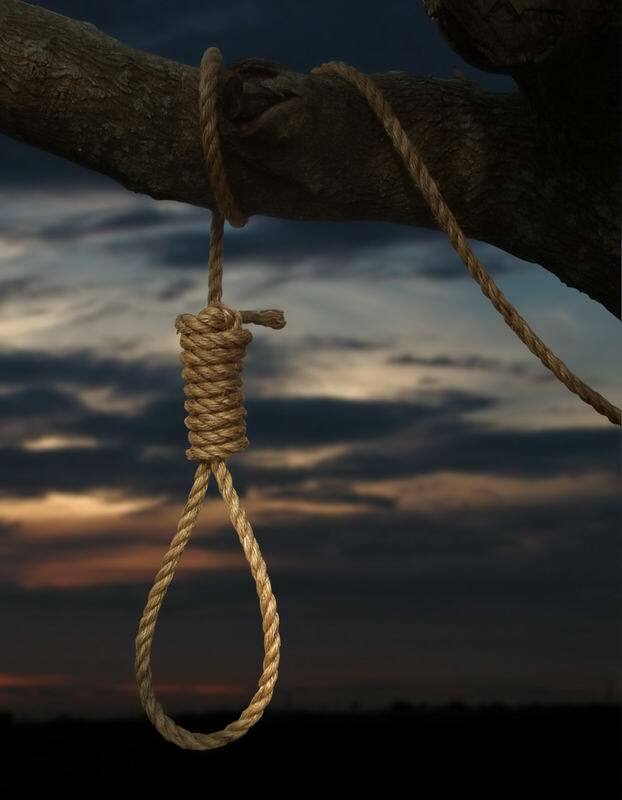 In the tenth century B.C hanging became the common method for execution in Britain. In the sixteenth century under the reign of Henry the VIII approximately 72,000 people were executed by boiling, burning at the stake, hanging, beheading, and drawing and quartering. Executions were carried out for such offenses as marrying a Jew, not confessing to a crime and treason. In the seventeenth century B.C Draconian code of Athens death was the only punishment for all crimes. Britain has had a huge influence on America’s use of the death penalty. The first record of the death penalty in America was in the new colonies. The first person to be executed was Captain George Kendall in the Jamestown colony of Virginia in 1608. Kendall was executed for being a spy for Spain. In the early to mid-nineteenth century the abolitionist gained ground and many northeastern states built penitentiaries .In 1834 Pennsylvania became the first state to carry out executions privately behind the walls of penitentiaries. In 1846 Michigan became the first state to abolish the death penalty for all crimes except for treason. Rhode Island and Wisconsin later followed by abolishing the death penalty for all crimes. While some states decided to abolish the death penalty other states made more crimes capital offenses. Especially crimes that were committed by slaves. In 1838 in an effort to make the death penalty more accepted by the public, some states began passing laws against mandatory death sentencing. Instead they passed the law on discretionary death sentencing. Circumstances of the crime were taken into consideration, with this new law taking effect all mandatory death penalty laws were abolished in 1963. In 1924 Nevada wanted a more humane way of executing this is when cyanide was introduced. The first gas chamber was built and Gee Jon was the first person to be executed by lethal gas. In 1977 Oklahoma became the first state to adopt execution by lethal injection. But Charles Brooks became the first person to be executed by lethal injection in Texas on December 7, 1982. In 1972 there was a temporary abolition of the death penalty due to the case of Furman v Georgia (408 U.S. 238) which fell under the eighth amendment, which serves to protect those found guilty of crimes from being treated unfairly and in an unlawful manner. The Supreme Court set the standard that a punishment would be “cruel and unusual” if it were too severe for the crime, if it offended society’s sense of justice, or if it were not more effective than a less severe penalty. As of today more than half of the countries in the international community have abolished the death penalty for ordinary crimes. Still today 58 countries have retained the death penalty including the United States. Currently 33 states retain the death penalty and 18 states including the District of Columbia have abolished the death penalty. New Mexico and Connecticut have abolished the death penalty. However the repeal was not retroactive, New Mexico still has 2 inmates on death row and Connecticut still has 11 inmates on death row. States such as North Carolina practice the death penalty only for first degree murder. While Wyoming enforces the death penalty for a larger range of crimes such as first degree murder, murder during the commission of sexual assault, sexual abuse of a minor, arson, robbery, burglary, escape, resisting arrest, kidnapping, or abuse to a minor under 16. Today we have thousands of inmates on death row; typically an inmate will spend at least 10 years waiting to be executed. California now has the highest population of 724 inmates on death row and Kansas currently has 10, Rhode Island currently has the lowest death row population with 1. Inmate Michael Selsor holds the record for the longest time spent on death row. He was sentenced in 1976 and executed in 2012; he spent 40 years on death row.